Throughout your academic life, you are required to write dozens of essays. This task shouldn’t be daunting; in fact, it can be quite easy and pleasurable if you are 100% sure of what you are doing. Yes, you have to develop good arguments as well as persuasively analyze and discuss ideas. But the main ‘secret’ is quite simple: it is called ‘structure’. The introduction is needed to set the general background and let the reader know what the essay will be about. It is best to keep your introduction short – restrict it to one or two paragraphs at the most. Make sure that you include your thesis statement here – even though you are not always openly required to do so. 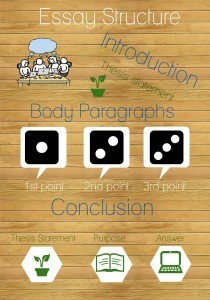 A thesis statement is your main message. In most cases it is possible to express it in one sentence – though it has to contain a very brief summary of every main idea you’ll further develop and support in the upcoming body paragraphs. It should be rather direct and specific and – if possible – express a position that others might oppose or challenge. Ideally, your introduction should pull your readers in, make them want to read your essay until the end. So do your best to avoid conventional clichés and say something intriguing. Surprise your readers, make them fascinated or even outraged – but don’t let them stay indifferent. A suitable quote can help you a lot, too. A well-formulated thesis statement is quite important; however, it’s enough to have a “working thesis” at the beginning and then come back and improve it when the rest of the essay is ready. This is the main course of the meal, so to speak. Having prepared your reader with the introduction, now you are going to discuss the main ideas in more detail, supporting your position with references to scholarly literature, if necessary. The body is the biggest part of the essay, usually ranging from 60% to as much as 80% of the text. Remember that you should structure it into paragraphs, each one dealing with a separate aspect of the issue. 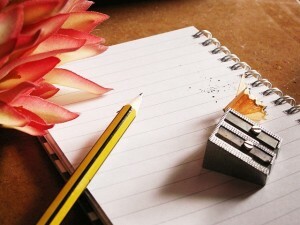 It is advisable to include not more than 4 paragraphs – or 4 main ideas – into the body of your essay. The number of sentences in each paragraph can differ; however, it is advisable to have not less than 3 sentences in each. Make sure that paragraphs neatly flow into each other, forming an uninterrupted chain of logic. To make your body paragraphs connect better, use the following trick: at the end of each of them include a segue to the next one – give a hint what to expect in the next paragraph. These segues are called transitions; they help the reader maintain attention till the end of your essay. Another technique is to include a brief summary of the previous paragraph in the first sentence of the next one. You don’t have to use both simultaneously – just choose one and follow it consistently throughout the essay. Remind your readers of how exactly you reached that answer. It is a common technique to repeat your thesis statement as the first sentence of your conclusion – this will make your reasoning sound more consistent and prompt the reader to agree with you. If you choose to mask the repetition, the thesis statement can be slightly rephrased here. - Is there always a clear, logical connection between consecutive parts of the text? - Are there any missing links? - Is there anything you should throw out? Finally, keep in mind that these guidelines are general. There is no single right way to structure your essay paper. For instance, we said you should try to limit yourself to three body paragraphs; however, the main thing is to express your idea fully and persuasively, so don’t be embarrassed if you need 7 or 9 paragraphs for a complicated topic. 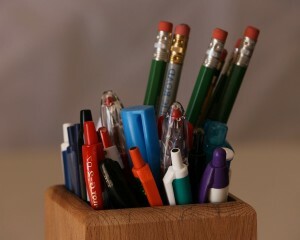 In a nutshell, do your best to make your paper a well-structured and interesting read!